If you are setting up the table for Christmas dinner, then perhaps you should add a little treat by using candy place cards. 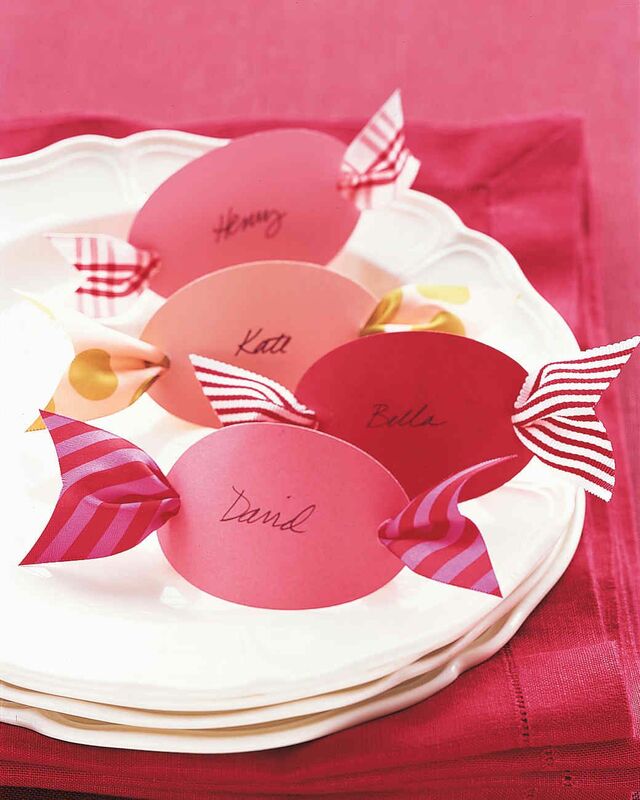 These place cards have a variety of purposes, from designating seats to guests, to simply giving your guests a sweet gift such as candy or chocolate. Christmas candy place cards may be made of candy itself, such as twisted candy canes, or by paper and ribbon cut-outs shaped like candy. In case you’d go for the latter, then you should not only designate names on each card, but also include a surprise in the form of a bite-size candy bar hidden underneath.